The 'parent-to-be' bracket of life is full of all the excitement and anticipation of what is to come. How life will change and as a parent already I know the importance of products that make life easier. 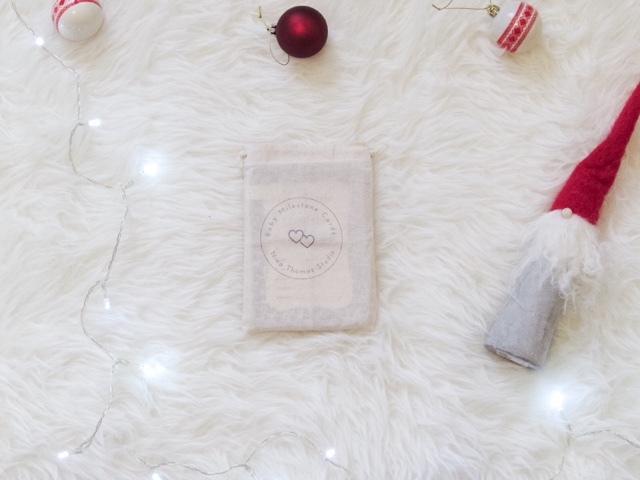 If you have parents-to-be to buy for this Christmas, or you are one yourself and are on the look out for wishlist ideas then this is the gift guide for you! 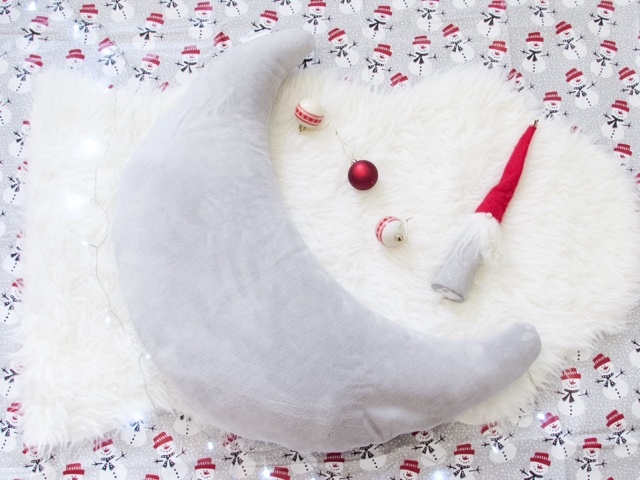 The Plushy Moon in Grey by Theraline (£22.20 from amazon) - Pregnancy and/or breastfeeding pillows are an essential for a lot of parents/to-be, as they are one of the most versatile item a parent can own. 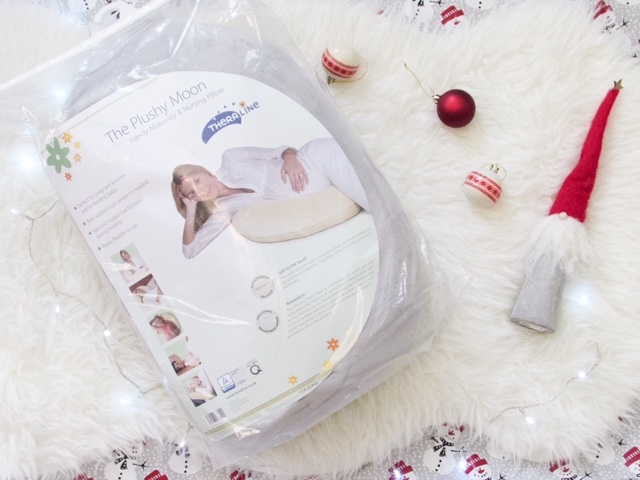 The Plushy Moon makes sleeping more comfortable during pregnancy, ideal for breastfeeding, as a support for a newly sitting baby, as a barrier for an area of risk within the home, head/neck support for an adult etc. 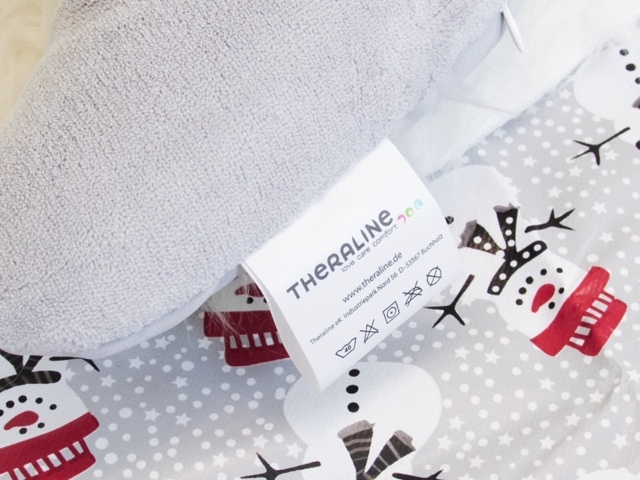 The Theraline pregnancy/nursing pillows are such outstanding quality, available in a variety of colours and in the softest material. We still use our The Original Theraline Maternity & Nursing Pillow despite Isabella being 20 months. We have a fireplace with a hearth in our living room, so to minimise the risk of Isabella tripping over and hitting her head on it we have the pillow wrapped around the front. 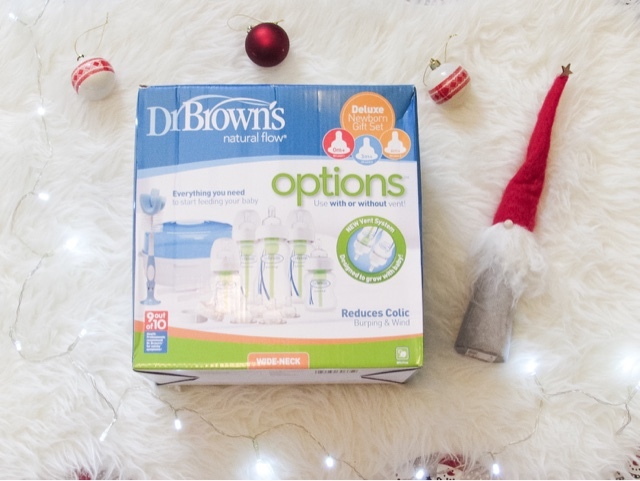 Options Gift Set from Dr Brown's (£37.50 from amazon) - Feeding can often be a sensitive topic for both parents-to-be and new parents. It is so emotive and can be very difficult, we chose to combination feed Isabella so she was breastfed and bottle fed back when she was a baby. The Dr Brown's bottles are such a good option, as they are specifically designed to reduce the pain/discomfort of wind related colic. Their unique vent system creates a 100% vacuum free feeding, which is clinically proven to help reduce wind related colic. Their new Options bottles give parents even more control, as their green vents can be taken out. This allows parents to use the vent when needed and then remove it and the bottle acts much more like a conventional, teat-vented bottle. This flexibility means that you can truly match your baby's needs as they change throughout the months. This Options Gift Set contains a microwave steriliser with tongs, 3x 270ml bottles, 2x 150ml bottles, 2x level 2 teats, 2x level 3 teats, bottle brush, 2x travel caps and 5x level 1 teats that are already attached to the bottles. 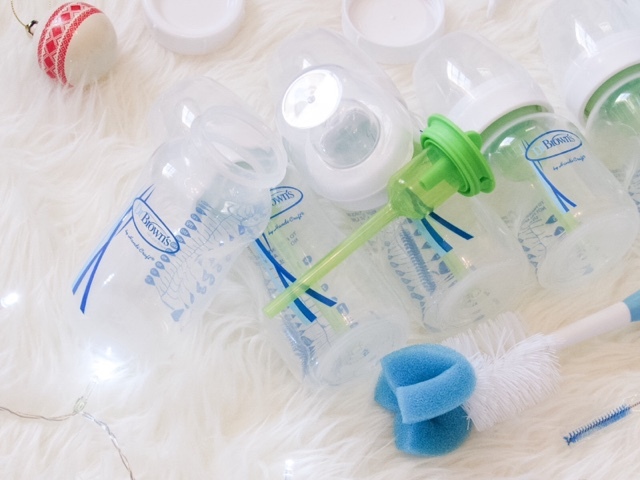 Everything parents need to bottle feed their baby and for such a bargain price too! 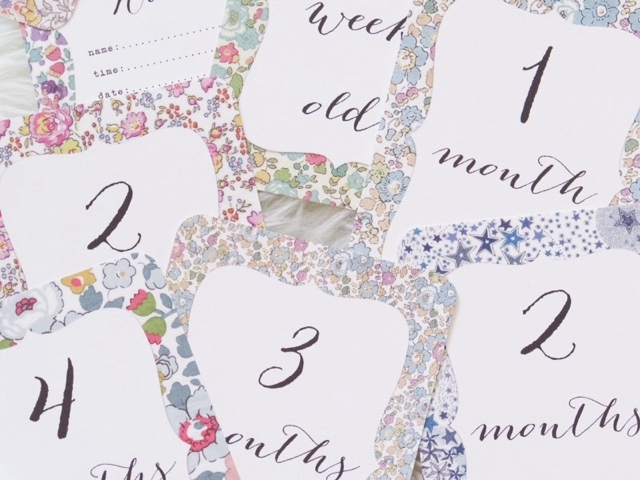 Vintage Floral Baby Milestone Cards by Nina Thomas Studio (£22) - Wouldn't these make just the most beautiful gift for parents-to-be? The floral designs are stunning, so bright yet subtle and the font is just dreamy. Baby milestone cards are really popular because they are an easy, quick and convenient way of capturing the moments parents don't want to forget. Those little moments that so easily can pass us by, we used them loads with Isabella and it is so lovely reminiscing by looking back through the photos. 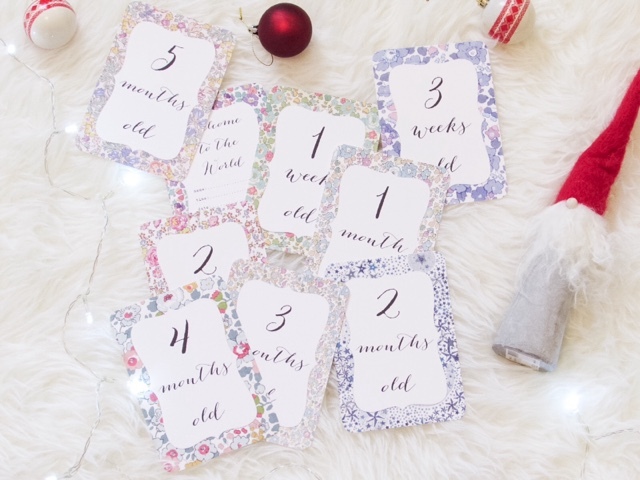 I love the design of these baby milestone cards so much, they're perfect for both baby boys and girls and they cover a fantastic range of milestones. 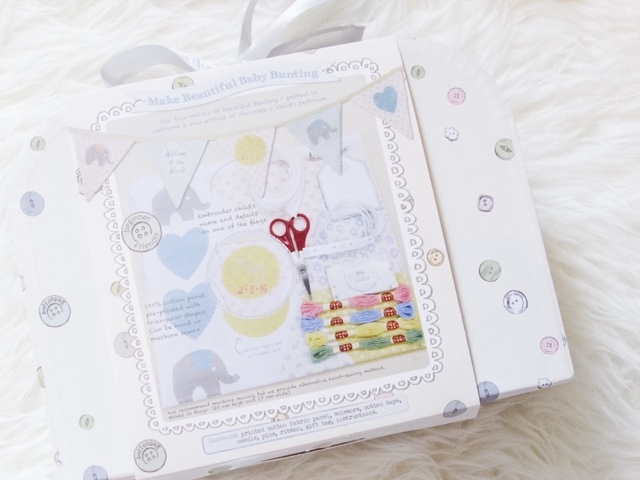 Baby Bunting Gift Kit from Buttonbag (£25) - If you know someone who loves craft projects and is about to become a parent then this is perfect for them. Buttonbag do a beautiful range of craft kits, including Baby Booties and Mittens Gift Kit, Baby Blanket Gift Kit, Baby Cushion Gift Kit, Mini Penguin Cross Stitch Kit, Mini Reindeer Christmas Decoration, Make Your Own Sausage Dog Crochet Kit, Make Your Own Toy Theatre to mention just a few. 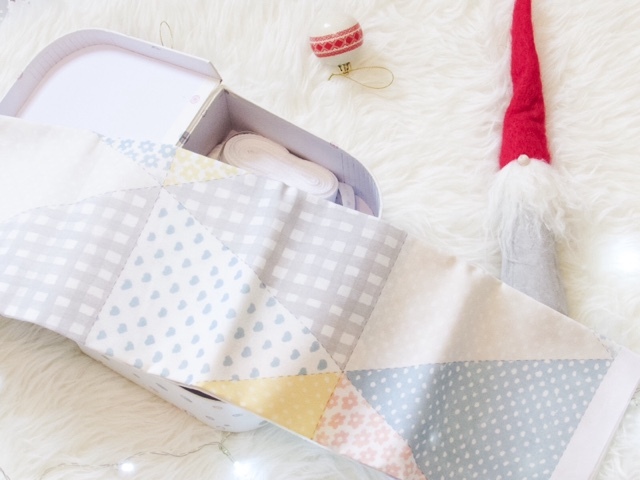 This Baby Bunting Gift Kit comes with everything you need to make the 4 metres of bunting, including pre-printed fabric, cotton tape, 4 colours of embroidery thread, scissors and a needle kit. I love that it is all presented in this very cute little suitcase, which of course could be reused within the baby's nursery. You can personalise the bunting by sewing on the name/s of the baby/child this is for, which is a lovely extra touch. This gift set could either be given as it is or you could make the bunting for the lucky parents-to-be and present it in the beautiful suitcase box. Either way it makes such a thoughtful and unique gift that would be enjoyed for years to come. Also, at the moment if you sign up to their newsletter you get 25% off your first order! Are you shopping for any parents-to-be this year? I'm linking this post up with TwinklyTuesday.